Jarvis, then. Or, rather, ‘Jarv Is’ as he appears to be titling this small tour/experience/band. Obviously it was going to be pretty special. He hasn’t toured solo in some years, this was an entirely new band for him, the material was going to be new, and he’s playing it in caves and caverns throughout the country. An ‘event’, then. 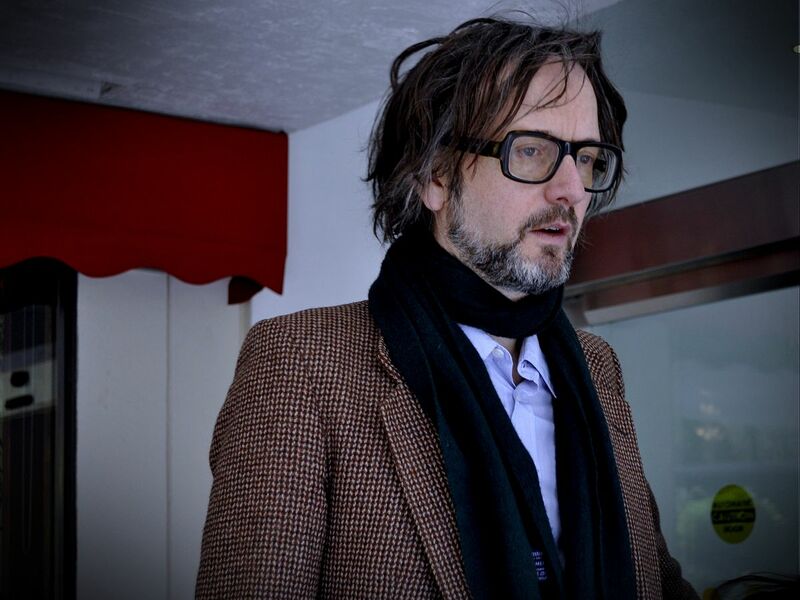 Jarvis has lost the beard, lost about 15 years and gained himself what I think is his first band to not contain any Pulpsters. Bass, drums, harp/keys and violin/guitar. Couldn’t really see them so well as we were underground in a cavern designed by a mad man. Jarvis suggested the guy who dug the tunnels was a philanthropist, but the evidence doesn’t really stack up for that at all. The set was about 75% brand new stuff. It was easily the best collection of solo material he’s ever done, and a couple of the tracks are right up there with some of the best songs he’s written, full stop. ‘Swanky Modes’ in particular has lyrics, structure and music that are absolutely outstanding. Lesser pieces like ‘Elvis Has Left the Building’ based around that chord intro from Jailhouse Rock ramp up the comedy value more than anything he’s done before, and all the better for it. That’s another thing about the show – obviously Jarvis is a funny guy who has the audience eating out of the palm of his hand, but I don’t think I’ve ever seen him so comfortable, so content, and so much almost bordering on being a stand up comedian. Every good natured heckle is dealt with by some brilliant, sparkling and warm humour. Never cruel, and always kind. The new band add a lot to the songs we already know like ‘Fat Children’ and ‘Discosong’ – the harp player making keyboard-esque sounds with whatever pedals and settings she was using. But even the familiar stuff is reimagined slightly, and feels all the better – and fresher – for it. The drummer even sticks his own style on the single Pulp song, His ‘n’ Hers, which was also sensational. The ‘what makes you frightened’ bit was fantastic when the audience member piped up with waxworks and triggered a great story from Jarvis about his experience when he was once surprised in the post by his own severed waxwork head. Some of the rest of the new songs have quite serious themes, like ‘Must I Evolve’ and ‘Children of the Echo’, whilst others – such as ‘Sometimes I Am Pharoah’ – seem to be quite serious, but his revelations about the subject matter suggest otherwise. There is a lot of revelations about subject better. Exposition, if you will. But it’s never dull – and is often hilarious. All, however, are great pieces of music and clever, funny, sometimes earnest lyrics. Very human, and a deviation from where he’s been heading to (solo, at least) at this point. If there was a reference point for the new material, then it would be the 1988-1991 era of Pulp. Electronic music with strong melodies. The main diversion from that being that he’s now surrounded by some brilliant musicians, and his lyric writing is superior, more concise and more assured than it was back then. Definitely the best (by far) solo show I’ve ever seen him do, and quite a lot better than several Pulp gigs – from both the reunion and before it – even. There are very few acts I’d be excited about watching a ‘new material’ set by, but Jarvis is/was definitely one of them, and the whole experience was pretty magical. I presume the recordings are out soon. If they manage to capture even half of the quality of this performance, they’ll be well worth waiting for.